Amy Anderson, a Port Orchard resident who placed third in the local Bayview Idol contest last year, is in the running for a spot on “Survivor” the reality (?) television show. I’m not familiar with the program, but I know it has a loyal following. Anderson tells us she was chosen from among 2,100 applicants as “one of the top 10 to win an audition” for the show. To progress, she needs to earn votes. Catch a video of Anderson and cast your vote for a chance to bring South Kitsap even more fame and fortune than it already enjoys. Sally Santana, a Port Orchard resident, has been named “Citizen of the Year” by the Kitsap County Association of Realtors. Santana is a champion of the county’s homeless population. She recently organized a successful homelessness summit attended by numerous community leaders and elected officials. Santana was recognized at the association’s annual installation banquet held at the My Girl Drive-In in Kingston. Santana was unable to attend, but Port Orchard Mayor Lary Coppola, a former recipient of the Association’s Citizen of the Year Award, accepted the award on Santana’s behalf, saying that he could not think of anyone more deserving. Santana is the host of the Kitsap Sun blog Side Street News, covering issues, events and services related to Kitsap’s homeless population. She also writes the column Faith and Values, which runs every other week in the Kitsap Sun and on www.kitsapsun.com. Granted there’s not just one local paper; neither are there scores to choose from. So it would seem that horse is already out of the barn. The focus of the article is Delilah’s love life (the article publish on Valentine’s day). It’s a good read, thoughtfully written. “Sit with the woman for a few hours, and she’ll run through the whole thing: the doomed marriages, the 10 children — three biological, the rest adopted — the drama and dysfunction,” McCarthy writes, then goes on to detail same. My thoughts: “Chic aesthetic” is a relative term, depending on whether you’re from Washington, D.C., or the town that shall not be named. The article amply covers Delilah’s love life (portrayed as previously a mess, presently tenuous in nature). McCarthy does a nice job of explaining it in the context of Delilah’s professional success, hunger for children, contradictory personality and personal faith. “Over the next several weeks, the Andersons felt like the sermons were meant for them,” Gardner wrote. Another woman in Gardner’s article, who suffered from a debilitating illness and severe isolation, took up roller derby. So you can see the term “conversion” is used in a broad sense. Tomorrow, Robin Vergara, a South Kitsap resident, will board a plane bound for the Dominican Republic. There, Vergara, an emergency room nurse at Tacoma General Hospital, will meet with other Tacoma General doctors and nurses who have teamed up to provide medical care in Haiti. The group, which Robin said will operate under the umbrella of Destiny World Outreach of Texas, will spend a week in the earthquake-stricken country. According to Robin, Destiny World Outreach has been working in Haiti and so is able to provide her group with local contacts and transportation. She said the organization is helping teams like hers make week-long stints, which, back-to-back, will provide ongoing support without unduly taxing volunteers, who must take time out from their jobs and families. As we continue to report on Kitsap County residents and organizations involved in relief to Haiti, it bears repeating that potential donors should be fully informed about where they send their charitable dollars. “I tell people to do their research online to find out how long the organization has existed and what they have been doing in the area,” said Janet Heath, Westsound director of the American Red Cross. Web sites like charityguide.org, which Heath recommended, offer guidelines for choosing a charity. According to information on the Web site, the American Institute of Philanthropy provides a watchdog service to help donors understand how well their dollars are being spent. The AIP gives letter grades to nationally prominent charities (smaller charities may not be listed – that’s really where doing your homework comes in). A grade of B means the organization openly shares audited financial statements and income tax forms, spends less than $25 to raise $100 and allocates at least 75 percent of money raised towards charitable programs (not fund-raising and general administration). The Better Business Bureau reports on charities based on its Charity Accountability Standards, which are listed on the Web site. The BBB also lists complaints it’s received about charities (absence of a charity on the complaint list doesn’t necessarily guarantee its worthiness). Heath also recommends you review the organization’s 990 tax information form. Finally, she said, read as much as you can about the organization and talk to people you know about it. If you visit the Westsound Seattle Red Cross, you’ll see a section called “Accountability” which includes links to the organization’s annual report along with other information made in the interest of full disclosure. Heath encourages donors to consider that the relief effort in Haiti will be a long-term process. Here is a list of tips for giving from the American Institute of Philanthropy (explained more fully on their Web site). Molly Hightower: How Do You Measure a Year in the Life? On Tuesday, Haiti suffered a magnitude-7 earthquake that has spread devastation to the already impoverished country. As of Wednesday, Port Orchard residents Mike and Mary Hightower were anxiously awaiting word from their daughter Molly, who was working with disabled orphans in a suburb of Port-au-Prince. I checked in on Molly’s blog to find out a little more about this young woman and what motivated her to spend a year working in such challenging circumstances. I did not find a saint. Just an upbeat 22-year-old with a taste for Starbuck’s and Taco Bell, a love of children and a deep well of compassion. Molly’s blog is aptly enough named “525,600 Minutes” from the lyrics of the song “Seasons of Love. Another Port Orchard woman, Rebekah Miner, was also in Haiti, working as a nurse. Thankfully she escaped unscathed. Read her story at this link. She arrived in Haiti in June, 2009 for a year of work with NPFS, Nos Petites Freres et Soeurs (Our little Brothers and Sisters in French-speaking Haiti). 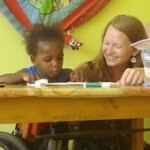 Here are some excerpts from the blog that give a glimpse into Molly’s day-to-day life in Haiti. “Norma has shown me how to massage them, how best to help Jolene walk and little stretching exercises to do in the pool. I never thought I’d be doing any sort of physical therapy here, but I enjoy it! Nov. 16: Molly talks about coping with circumstances most would find depressing or hopeless. “Of course, there’s always sadness to focus on if you choose to. You’ll look down and see the burns someone put on Yvonne’s legs, maybe in an attempt to burn the seizures she often has out of her. Clotaire will get to excited from singing to us and have an epileptic fit. And then Watner, who was found burning in a pile of garbage as an infant, wanders over from the kindergarten looking for a treat. He only has half his fingers and scalp. Of the older children, one of Molly’s favorites is TiBeth (“ti” as in petite for small), a girl with Down Syndrome who is frightened to get off the school bus and usually throws a fit. Molly has to coax her off with her sunglasses. In the same post, she describes Damien, one of the children lucky enough to be adopted. Dec. 3: Another horrific day. Except for the tropical weather, Christmas is like Christmas everywhere, and Molly shows the Haitian orphans are just typical kids at heart. In her most recent post, Molly talks about a difficult situation that she handles with typical grace and care. Jaques Cristo is an American-born “very, very smart” 7-year-old whose mother had dropped him at the American Embassy in Haiti. 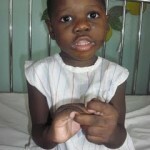 The orphanage is asked to care for him until his fate – probably foster care in the United States – can be determined. He calmly told me his mother left him and wouldn’t be coming back, and that he thinks his dad is in Miami. Jacques was born in Brooklyn, so he’s an American citizen, but neither of his parents are. He speaks English and Creole fluently. He was born with a cleft palette and has already had several surgeries, but needs another soon. Maybe his mother didn’t receive a visa to go to the US with him for the surgery, or maybe she couldn’t afford to send him on her own. I’m trying to give her the benefit of the doubt- but what kind of mother just leaves her child, especially when he’s old enough to know he’s being left? They spent the evening eating M&Ms and Doritos before she tucked him into bed. My thoughts: From what I understand of mothers who place their children in the care of others, most of the time, it’s done out of sheer desperation that is unimaginable to those of us who have food, money and the mental and physical where with all it takes to raise a child. 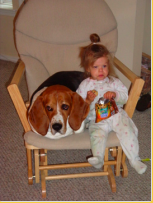 I feel enriched after reading Molly’s blog and my thoughts are with her family. How about love? Measure in love. How about love? Seasons of love. 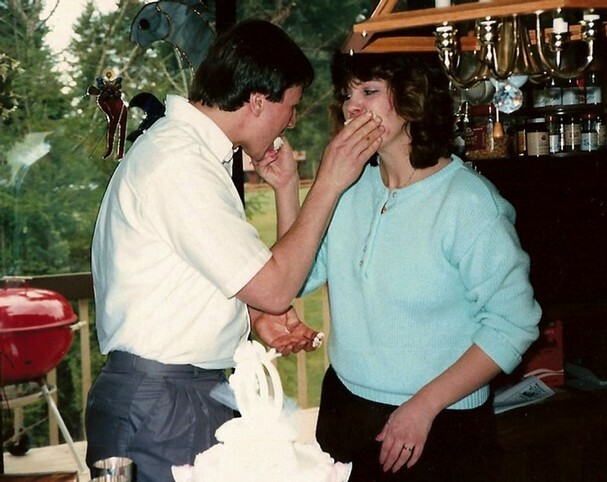 Lisa Marie Johnson, the South Kitsap mother of three whose “dream” wedding was covered in February in the Kitsap Sun, died Wednesday at Hospice of Kitsap County in Silverdale Bremerton. She was 42. Lisa was diagnosed in February, 2007 with stage four breast cancer. Despite aggressive treatment, malignant cells continued to spread to other organs in her body, and her prognosis was poor. A year ago, friends, family and co-workers from the Port Orchard Fred Meyer — with the help of the nonprofit Making Memories — banded together to grant Lisa a fervent wish. 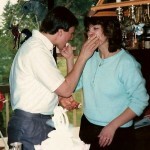 When she and husband Steve were married, March 18, 1989, they had a low-key, low-budget ceremony. On Valentine’s Day, 2009, the couple renewed their vows with the “dream” wedding they’d always wanted. Daughters Amanda, 20, Kayla, 19, and Judy, 16 were bridesmaids. Lisa wore a designer gown donated by Brides Against Breast Cancer — the fundraising arm of Making Memories. The organization helped local volunteers find florists, photographers and others in the wedding industry willing to provide their services free or at a deep discount. Also stepping up to the plate were members of First Christian Church in Port Orchard, who rearranged their schedule to accommodate the ceremony, offered the hall at no charge and corralled a cadre of cooks to provide the wedding feast gratis. The couple had a honeymoon in Port Townsend. Lisa continued to receive treatment and even went back to work briefly. But her condition continued to worsen. On Dec. 11, those same friends and family who helped Lisa celebrate her marriage organized a fundraiser to help the Johnsons cover costs associated with her illness, including anticipated funeral expenses. The event raised nearly $3,000. According to Lisa’s mother, Sharon Ewing of Bremerton, Lisa was involved in planning for arrangements, which will be handled by Tuell-McKee Funeral Home of Bremerton. Donations are still being accepted for the Lisa M. Johnson Fund at any Kitsap Bank branch. 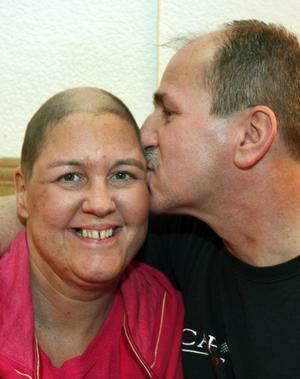 In February, 2007, Lisa Johnson of Manchester was diagnosed with stage four breast cancer, an invasive form of the disease in which malignant cells had spread to other organs in her body. Despite aggressive treatment over the past two years, the cancer has progressed. 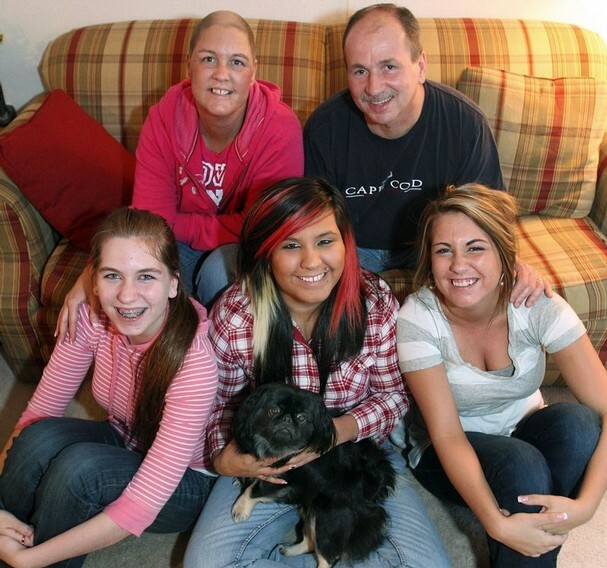 Lisa is now receiving Hospice care for comfort and pursuing quality of life, to the best of her ability, in each day, according to her mother Sharon Ewing of Bremerton. When Lisa and her husband Steve were first married, they had a low-key, low-budget ceremony. On Valentine’s Day, 2009, family, friends and coworkers helped Lisa and Steve celebrate 20 years of marriage with the “dream” wedding they’d always wanted. Daughters Amanda, 20, Kayla, 19, and Judy, 16 were bridesmaids. 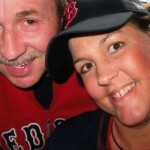 Now those same folks are pulling together to help raise funds for funeral arrangements Lisa has requested. A spaghetti dinner and auction to benefit the Lisa Marie Johnson Funeral Fund is planned for 5 to 9 p.m. Dec. 11 at Seabeck Conference Center, 15395 NW Seabeck Highway. This family-style, sit-down dinner features music by Swing Fever and pictures with Santa. Many local businesses have pitched in to help with supplies and auction items, such as wine tasting and hors d’oeuvres for 10 from Hoodsport Winery and a necklace from Chrey’s Jewelers of Bremerton. When I wrote about Lisa and Steve in February, I was struck by their love for each other, which I described as a palpable presence. The other remarkable layers of the story were their girls, who have risen to the family’s challenge with grace and maturity, and the community response, a group effort that went and continues to go above and beyond. 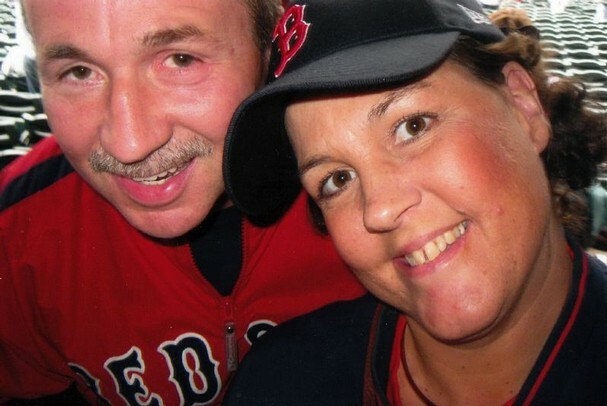 Our thoughts are with the Johnson family, with a special shout out to Lisa whose 42nd birthday is Friday (Dec. 4). Tickets to the dinner-auction are $10 per person, $5 for children under 12, $25 per family of four and $5 for each additional family member. A benevolent fund has been established at Kitsap Bank; designate donations to the Lisa M. Johnson Fund. Mark Wagner of South Kitsap, featured in Sunday’s Kitsap Sun, is a marathon runner with an artificial heart valve. 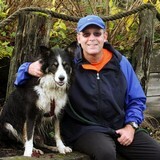 Sunday’s Seattle Marathon was his sixth since the heart valve was installed in 2000 to corrected a congenital defect. Wagner took up running marathons after his open heart surgery in part to prove to himself that he could do it, in part to raise funds for the international charity World Vision. In 2008, he needed a pacemaker installed. Also, one thing I didn’t mention is that five months before the marathon, he was in a wheelchair. A fall at work injured his leg, and because he takes blood thinners, he had internal bleeding for which he was hospitalized in March. By June, he was walking again, and by July he was training for Sunday’s race. Guess, we’ll just have to start calling him Mark “the Energizer Bunny” Wagner. Wagner will take a couple weeks off before starting to train for the Eugene (Ore.) Marathon in May.